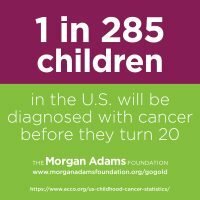 Acknowledge the thousands of children and their families who are dealing with a pediatric cancer diagnosis. 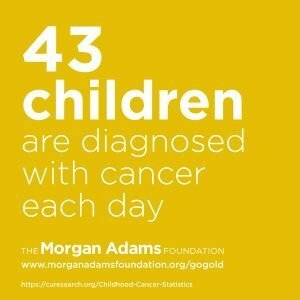 Raise awareness about the reality of childhood cancers. 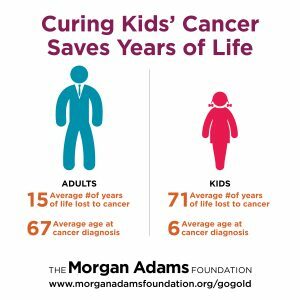 Emphasize the importance of supporting kids’ cancer research that is helping improve and save lives daily. 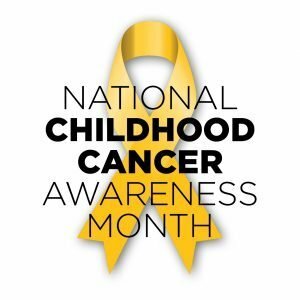 For those affected, every day of every month is dominated by childhood cancer. 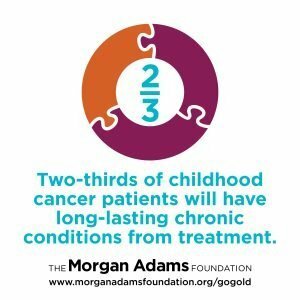 The Morgan Adams Foundation is proud to have partnered with Children’s Hospital Colorado and other renowned research institutions around the world for nearly 20 years to improve kids’ cancer treatments and outcomes through innovative and groundbreaking scientific research. 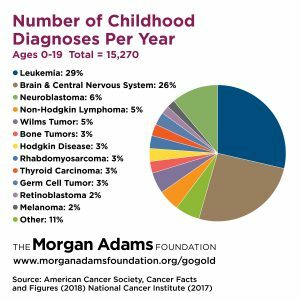 One of the greatest obstacles we face in the effort to end pediatric cancer is lack of awareness. 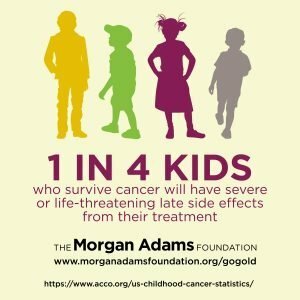 Unless someone has been personally affected by a child’s experience with cancer, it is very difficult to understand the true reality — of how many kids and families childhood cancer affects, of how mentally and physically traumatic kids’ cancer is, and of how utterly disruptive and destructive cancer is to childhood and family. 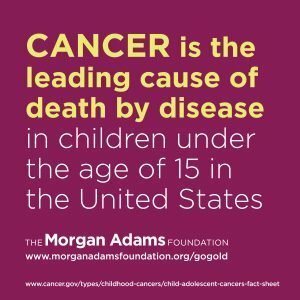 Once a family hears their child has cancer, no one’s life will ever be the same. 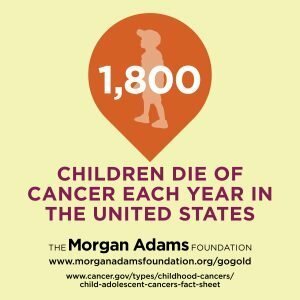 Cancer is the leading disease-related cause of death in children — 1 in every 330 kids is diagnosed with cancer across the US each year. 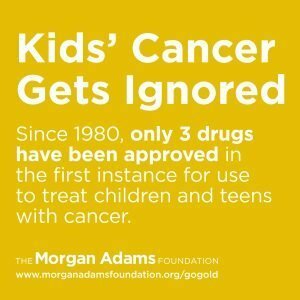 But no one wants to think or talk about kids getting cancer, undergoing brutal treatments, countless clinic visits, and dying. We understand – it’s not a pleasant topic. And in a world with quite a bit of hurt, no one wants one more reason to be sad. But, for the kids and their families facing a diagnosis, childhood cancer overtakes their whole world. There is no room to ignore or get away. You are a voice, and many voices joined together have great power. 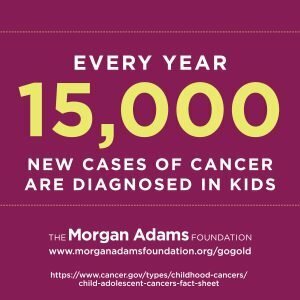 We need you to join with us and spread the word about childhood cancer. 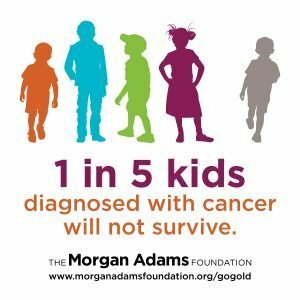 Share your experience: Tell people your story and why you Go Gold in support of kids’ cancer research. 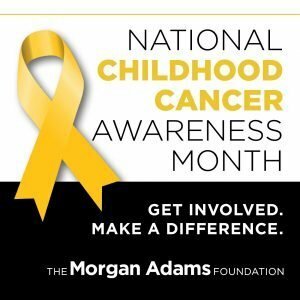 Be the face: Change your profile picture to show your support for Childhood Cancer Awareness. Social media: Share information and some of these personal stories to raise awareness. 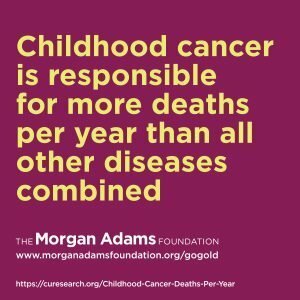 Learn: Know the facts and tell others too. Get involved in the conversation: Start a dialogue with the experts. Sign up for a tour of the lab. Volunteer: Lend your time, talent and expertise by donating your time to a local organization. 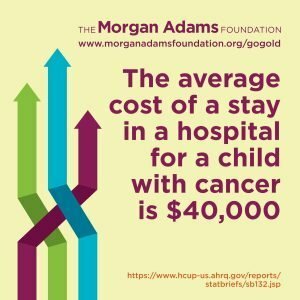 Learn more about helping at MAF. Facebook Fundraising: Raise money and awareness at the same time with Facebook Fundraisers. 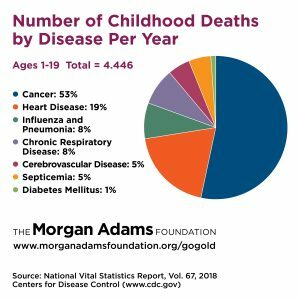 Cancer is the leading cause of death by disease in children under the age of 15 in the U.S. 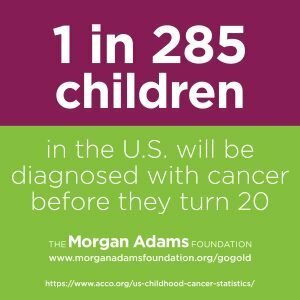 Approximately 1,800 children die of cancer each year in the U.S.
Every year, an estimated 15,270 new cases of cancer will be diagnosed in kids under 20 in the U.S.
Scroll down for more statistics and graphics you can share!